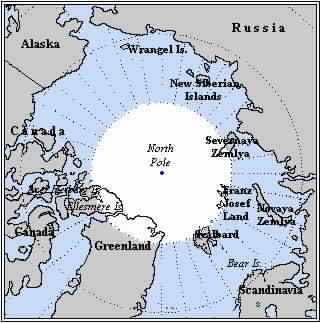 SVALBARD is the name for an archipelago of islands lying roughly half-way between the northern coast of Norway and the North Pole between latitudes 76� and 80�N. 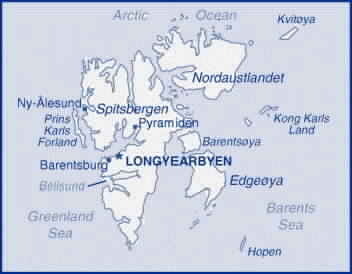 Prior to the 1920 treaty that granted Norway sovereignty over the islands, the area usually was referred to as Spitsbergen, the name of the largest island in the group. However rather than being a remote arctic outpost, a branch of the Gulf Stream makes the west coast of Spitsbergen relatively ice-free and accessible during the summer months. 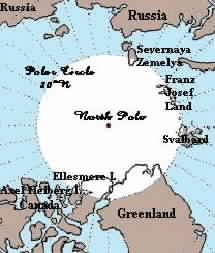 It was a popular tourist destination during July and August up until World War I. Kings Bay, now the international scientific community of Ny �lesund, was the site of many early historic polar flights. 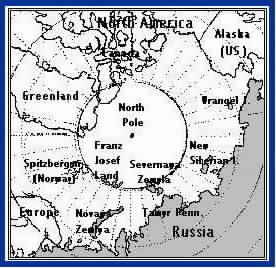 For a glossary of Norwegian-English place names, see Appendix C.
All maps Copyright � 2000 PolarFlight Research Forum. All rights reserved.